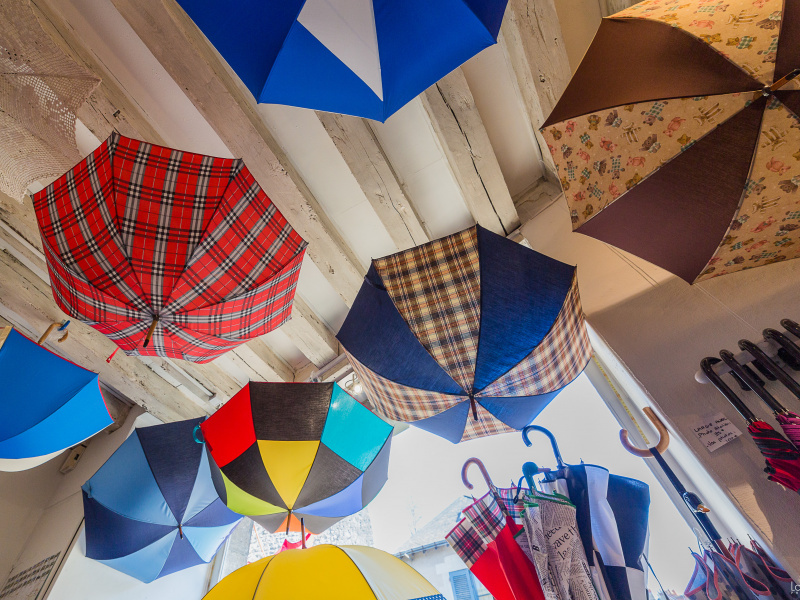 How have we decided to create an umbrella workshop? After living 16 years in the region of Blois, a professional transfer of Pascal made us discover Normandy. Chance led us into a village: Creully, where an umbrella factory (H2O umbrellas) one of the last French manufacturer, was established. Nathalie training seamstress, after meeting the owners, is employed in this beautiful company. Thus begins the adventure, for nine years, Nathalie has learned this wonderful craft from Mr. and Mrs. Collard, who kindly sent him all their trade secrets. We thank them. And that since July 2016, we are back to Blois to manufacture our turn umbrellas and parasols. 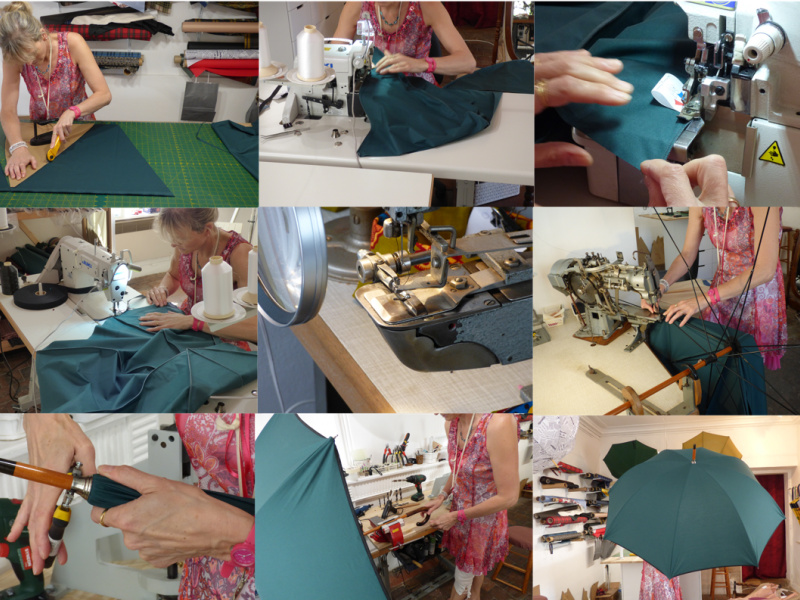 We choose with the greatest attention the fabrics and materials we use to manufacture our umbrellas. For quality and a priority for us, we have chosen craft because we control all stages of manufacture. Thus all our products are guaranteed and repairable because we manufacture umbrellas and sunshades that will last very long. In the workshop, you will discover the different stages of the manufacture of an umbrella, because no less than 13 steps are required to make an umbrella: appointment in the "MAKING". 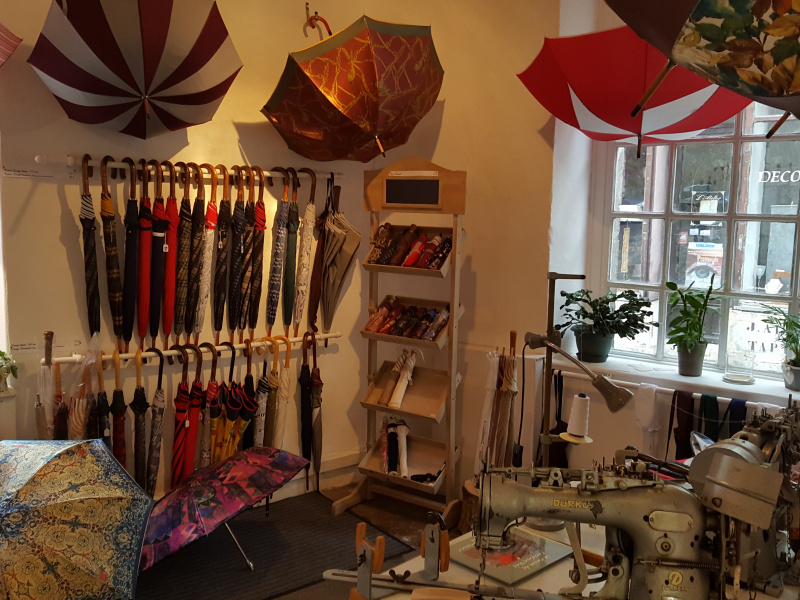 Public workshop, where you can experience the craftsmanship of an umbrella or parasol from cutting to final ironing. The visit is free. In our models, we selected a wide range of fabrics of different materials of the highest quality. 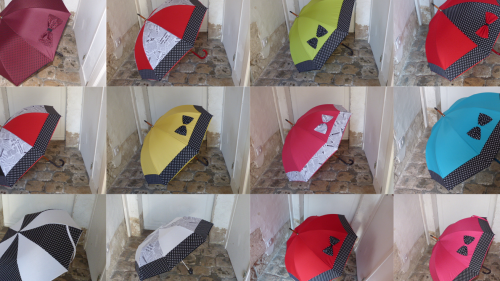 We take great care in making each piece because each umbrella has to be perfect, because its longevity depends. 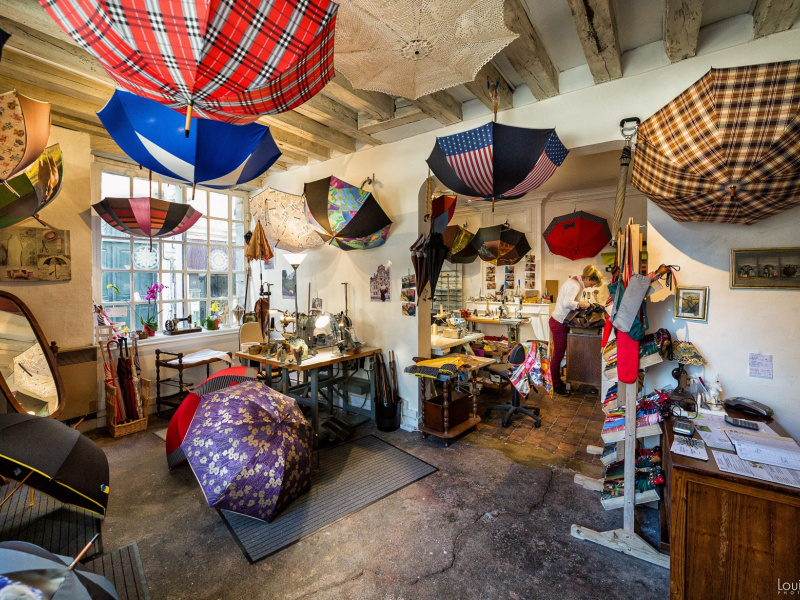 The umbrellas that come out of our workshop are to follow you as long as possible, obviously they are guaranteed and repaired by us. We give you the ability to customize your umbrella for some models, choosing your grip, with embroidery, or choosing your fabric. These options can be paid depending on the model and the necessary work. 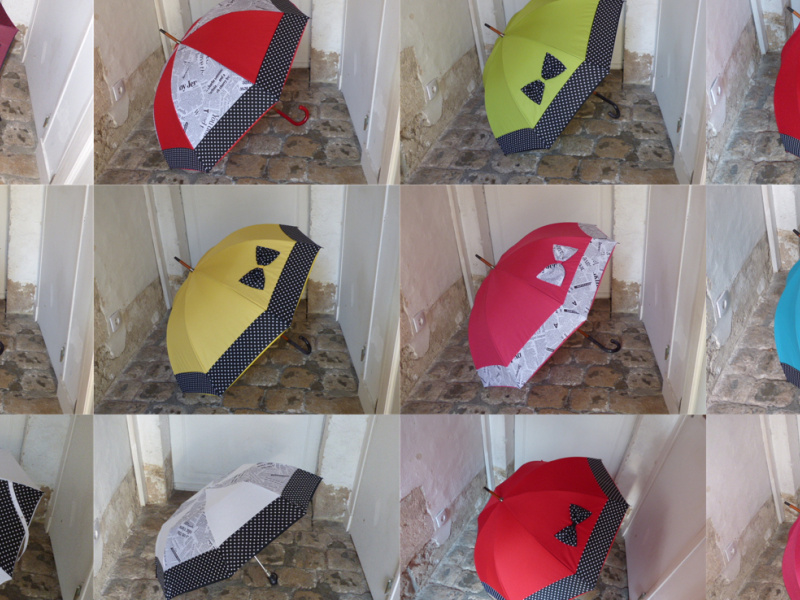 Today 95% of umbrellas sold in France are imported, we believe it is time to bring up to date the "Made in France". 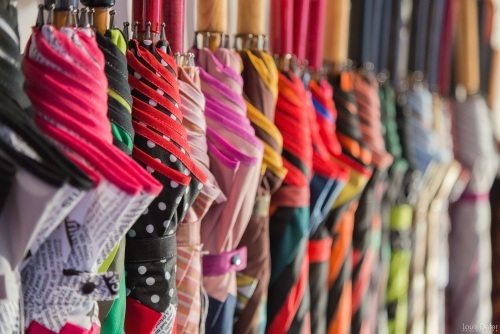 If you have enough umbrellas that end up in the trash after a day or two, do not hesitate and choose an umbrella "House of Umbrellas" and it will take you a long time. It is possible to organize free personalized tours in groups of 10 people maximum.